For the fourth exhibition in its Raw/Cooked series displaying the work of budding Brooklyn artists, the Brooklyn Museum presents an installation by Heather Hart. Occupying the museum’s fifth-floor rotunda, the installation will consist of a single rooftop that lies flat on the ground, without walls and outside its original context. 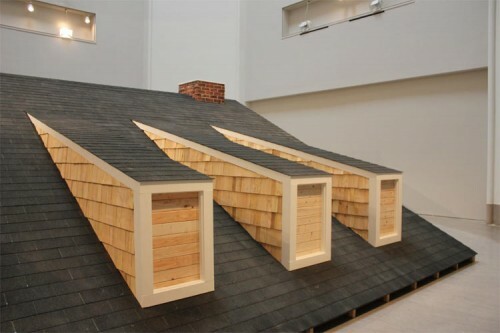 As Hart describes it: “A rooftop can refer to home, stability, or shelter, but in this context, it is also an action of reclaiming power.” The roof makes specific reference to the oldest architecture in the museum’s period room collection—the Jan Martense Schenck House, built in 1676, the second-oldest Dutch-American building in Brooklyn. 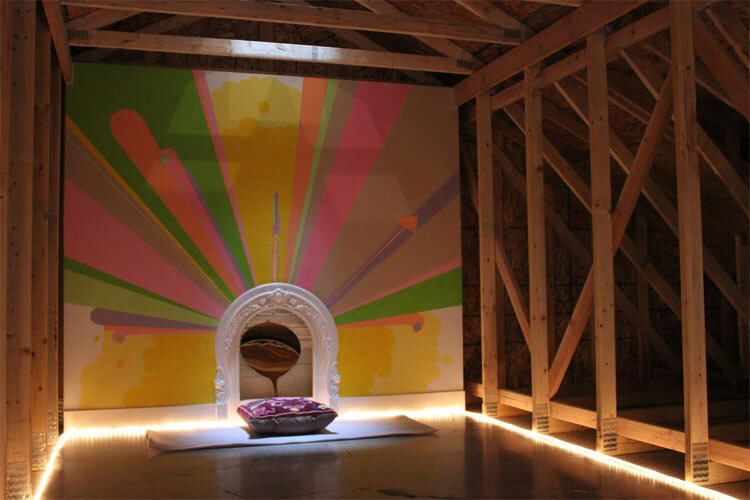 Visitors are encouraged to physically interact with the structure, fulfilling Hart’s intention to create a place of self-reflection and self-empowerment.